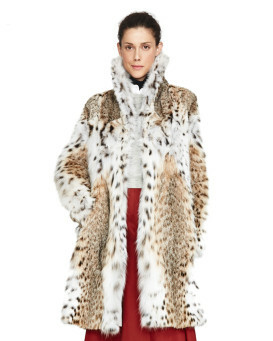 There is perhaps no piece of fur clothing more iconic for women than the fur coat. It is a piece of our culture which suggests great affluence and style. Though the days of a fur coat being something every mother told her little girls they should seek out in life, they are far from being out of style. 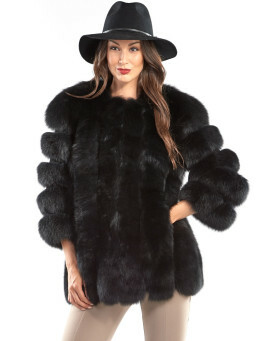 No matter what type of look you're trying to accomplish when you go out for an evening at the theater, the opera, or a fancy restaurant, you can be certain that wearing a fur coat will highlight your personal sense of style and make a pretty outfit into an absolute head turner. We have coats which range from short, to three quarter length, and all the way to full length styles. The number of cuts we offer ensure that you'll find the right style to suit your desired look. Since every one of them is delightfully warm, you are sure to be comfortable no matter which length you choose. Color and fur choices abound in our selection. You can feel comfortable knowing that there's the right choice for your wardrobe in our line. 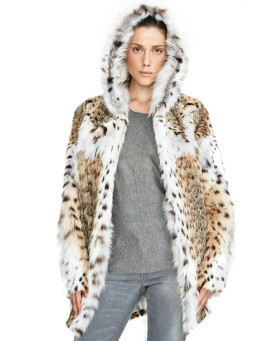 If you're seeking a specific type of fur we've got you covered. 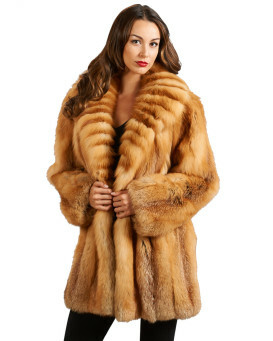 Our coats have been made from mink fur, Tibetan sheep fur, sheared rabbit fur, fox fur, raccoon fur, sheared mink fur, and lynx fur. We have a great range of prices in our line. Our short coats start at extremely affordable prices, and we have some three quarter length models that are fairly inexpensive as well. Our full length models are understandably more expensive, but they represent a piece of your wardrobe that you will cherish for the rest of your life. Quality like these coats can last a lifetime, and can even become an heirloom. So when you're shopping for the right coat, just remember what a timeless piece of your wardrobe it can become. Get the right coat for you and it will reward you year after year. "Love the coat as it is very well made, Warner and lighter than expected. The only thing is the delivery took time (20 business days) but definitely worth the wait. While waiting customer service was extremely helpful. Would highly recommend." "The coat is outstanding! Aside from all the compliments already given to it, I appreciated the level of attention to details in design and manufacturing. There are many details like the seams masked under the stripes, drawstrings, dual side fur hood, quality closures, high quality lining. Together these details make a great product. And it's extremely warm and practical. We tested it at -25C plus wind - not even a hint of getting cold! My wife gets a constant flow of compliments on this coat. Most of the folks think it's chinchilla :-) As always, service was good. For the price we paid - it's a steal." "I ABSOLUTELY LOVE IT!!!! I appreciate good quality and I have a very good eye, and this coat is of the highest quality out there and the sale price was reasonable. I think I purchased a gem. 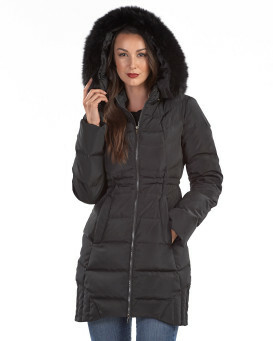 Colorado can get pretty cold, and even though the coat is of the highest quality down, it is not bulky and can be worn even in mild cool to sub zero, even in Alaska. And the Fur is genuine Fox!!!! Every now and then I am super pleased with a purchase, and this is one for sure!! Thank You FurHatWorld!" "amazing coat, looks lovely and the quality is superb! this company always sends products out fast and are received quickly after buying several products from this company yet again I am so pleased with my purchase and will continue to buy the high class products from this great company"
Based on 53 customer reviews.